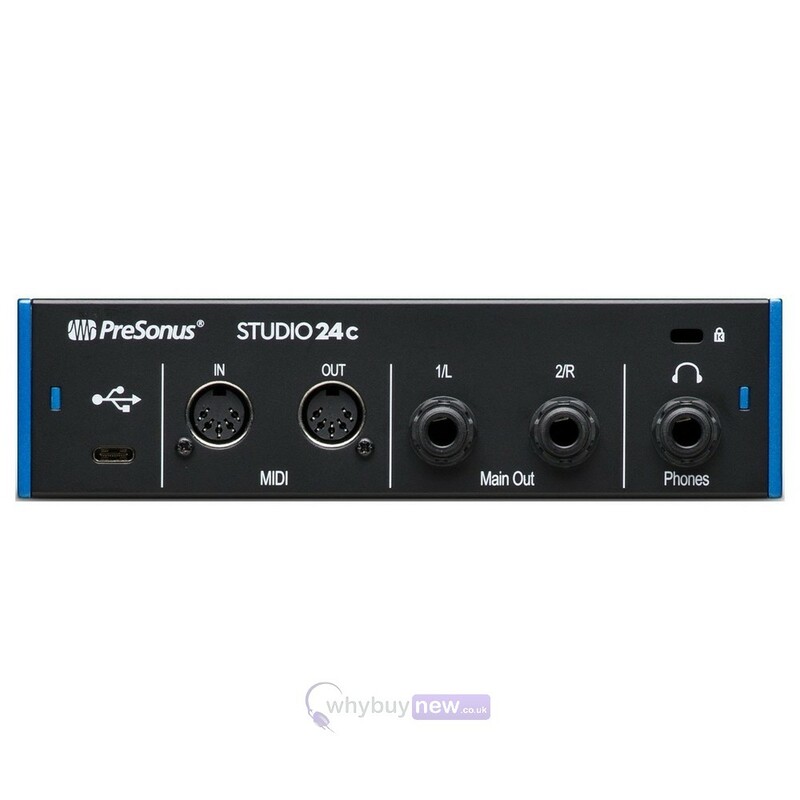 We bring you the PreSonus Studio 24C audio interface for the seasoned professional and the inexperienced alike. This powerful piece of equipment will make a great part of any experienced producer's arsenal but also works brilliantly as a beginner's tool whether you're recording music, speech or a vlog. It features 2x front panel combo mic/line/instrument inputs, 2x rear panel line outputs plus MIDI I/O. All of these combined give you a huge scope for recording without the need for a full-on studio environment, particularly as the MIDI I/O enables connection to a MIDI keyboard or production controller, giving you full music-production capabilities whether you're at home or on the move. 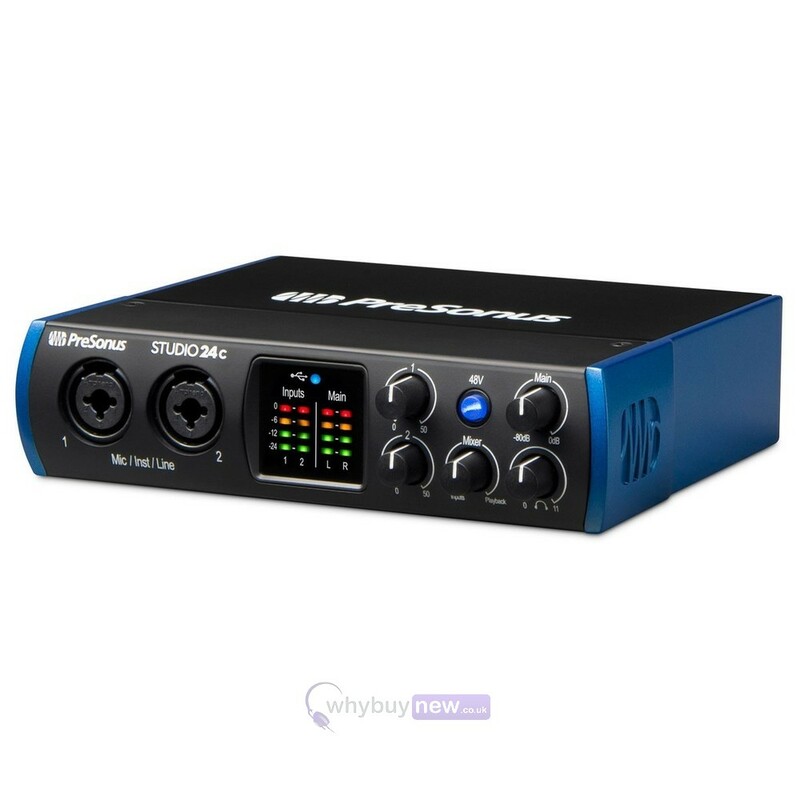 Great for recording studios, mobile musicians, guitarists, podcasters, and live streaming, the bus-powered Studio 24c 2-in, 2-out audio interface features 2 front-panel combo mic/line/instrument inputs with PreSonus XMAX-L solid-state mic preamps, 2 rear-panel line outputs, MIDI I/O, and onboard direct monitoring control. 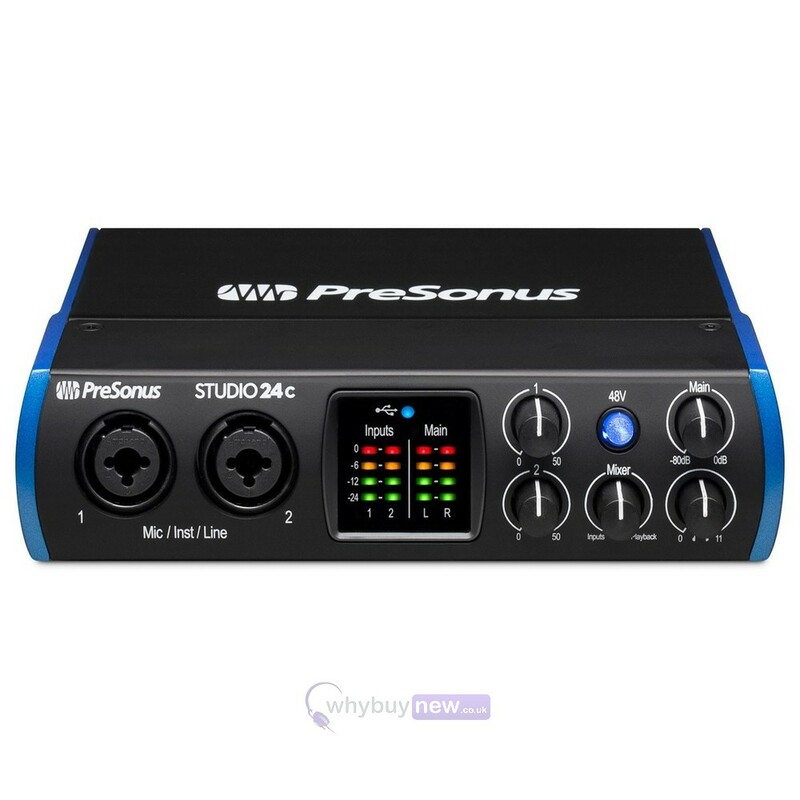 A complete, all-in-one home recording studio, the Studio 24c comes with PreSonus' award-winning Studio One Artist music production software for macOS and Windows. 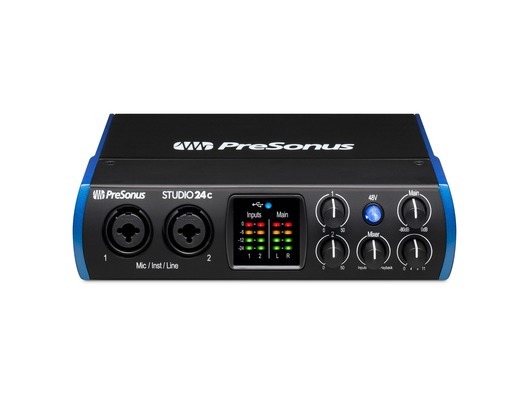 The 2-in, 2-out Studio 24c audio interface features USB-C computer connectivity and includes combo mic/instrument/line inputs with +48V phantom power for condenser mics; balanced, 1/4-inch TRS, line-level main outputs; and an output level control. Its built-in MIDI interface enables connection to a keyboard, sound module, or control surface. A Mixer knob blends analog input and computer playback for low-latency monitoring. The Studio 24c operates at up to 192 kHz for ultra-high-definition recording and mixing. 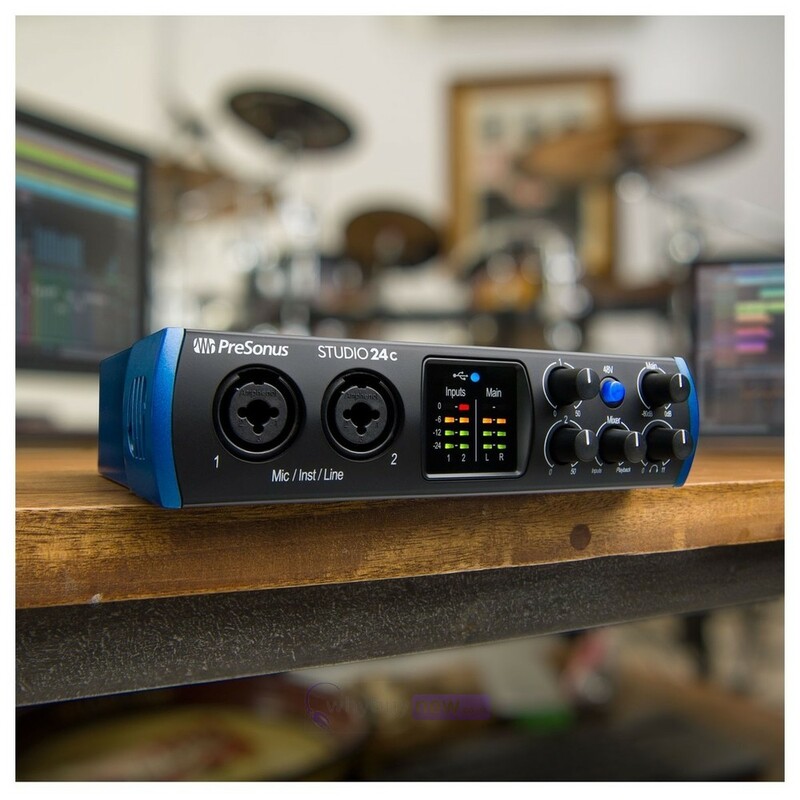 High-quality converters on every input and output and PreSonus professional-grade XMAX-L mic preamps enable you to capture complex musical harmonics smoothly and naturally, with no audible distortion. 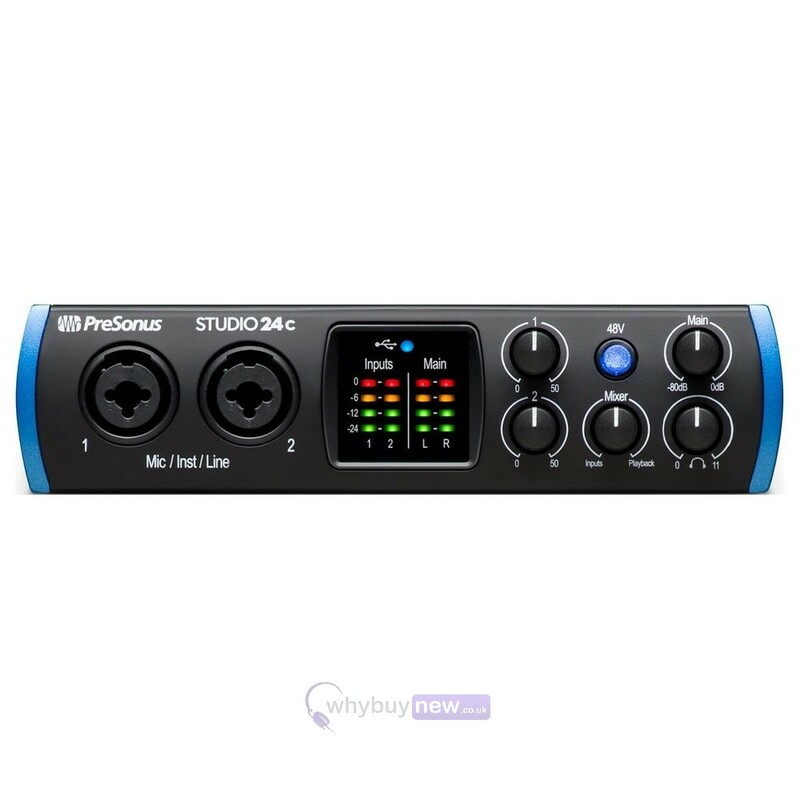 Whether you're just getting into recording or are a veteran producer who wants to go mobile, the Studio 24c will give you clear, clean, ultra-high-def sound in a bus-powered, rugged unit. 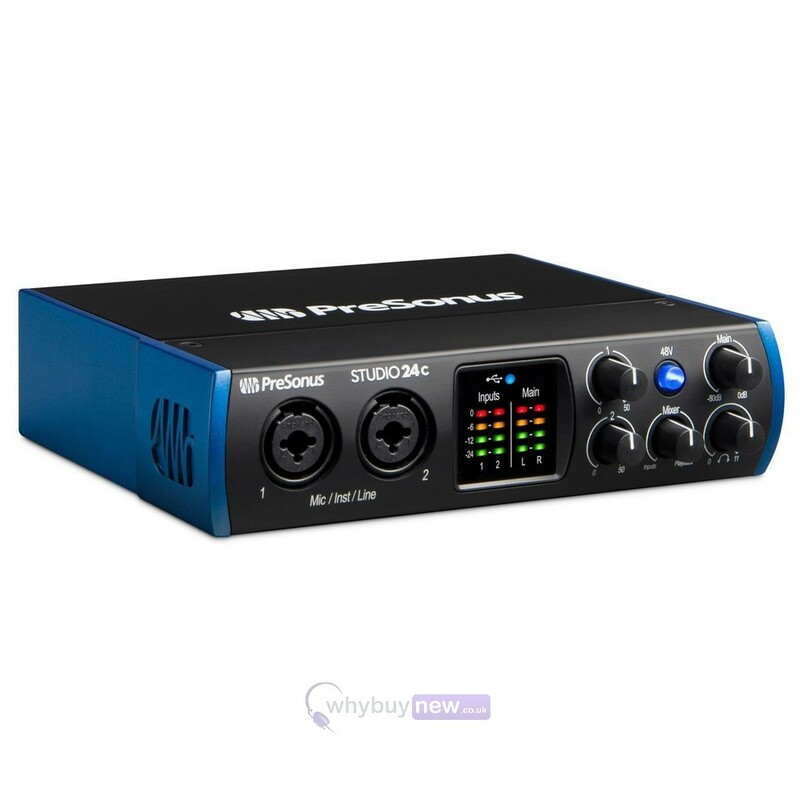 While its a perfect companion for any recording software, the Studio 24c and included Studio One Artist provide you with a complete, affordable, home and mobile recording solution.